NBA has been at the forefront of reimagining and upgrading on-campus student housing to meet the needs of 21st century higher education. This four-building, state-of-the-art residential complex sets a new standard with single to four-bedroom suites. The complex holds computer labs, laundry facilities, a mail center and a technically sophisticated meeting room with a warming kitchen and stone fireplace. 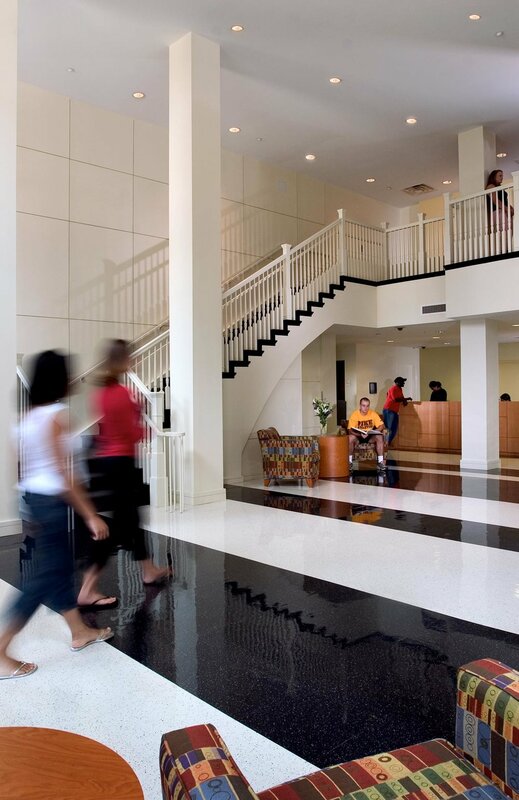 Located adjacent to the University’s award-winning student recreation center, the East Campus Village buildings embody the community ideal.